When the Mexican-American War ends in 1846, Virgil Moody returns to his life as a farmer in Texas, where he lives with Annie, a black woman, and her son Lucas. Annie dies, Lucas runs off, and Moody vows to find him. His quest takes him to Indiana, where he meets Tamsey, a freed slave, and together they are soon caught in the shadowland between the South and the North, between the United States and Canada, and between Black and White. Jack Lewis, son of a black family in Windsor, Ontario, is light-skinned enough to pass for white by joining the Navy during the Second World War. After the war, he marries Vivian, a white woman from Newfoundland. When he brings her back to Windsor to meet his parents, they become entangled in a world of dark secrets and white lies. 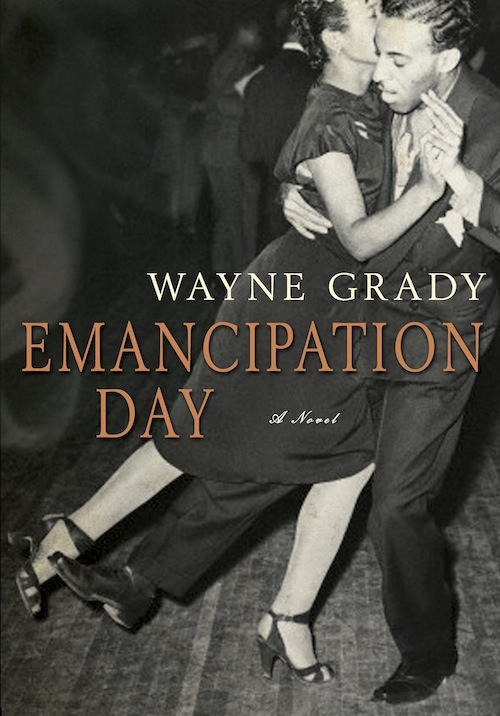 Emancipation Day won the Amazon.ca First Novel Award, was long-listed for the ScotiaBank Giller Prize, and was named a best book of 2013 by the Globe & Mail and CBC Books. It is the 2017 One Book One Community selection for Waterloo Region. Buy the book from iTunes. Buy the book from Doubleday.